To install a lighting system in a retail or work shop, it’s important to calculate how much light you need. Proper lighting levels help ensure safety and comfort. In workshops, adequate lighting is also important for maximizing productivity and reducing mistakes. The total light in an area is measured in lumens. You determine the number of lumens required based on the light intensity or level desired and the size of the area to be lighted. Light intensity is measured in "foot candles" per square foot. Evaluate your lighting requirements. If the visual nature of the work to be done is limited, you’ll need a much lower lighting level than for visually intensive tasks. Shops where finely detailed tasks are carried out may require up to 300 foot candles per square foot, according to the Industrial Accident Prevention Association. By contrast, a typical retail shop might need a lighting intensity of only 20 to 30 foot candles per square foot. Use a measuring tape and a calculator to compute the square footage of the shop. Measure the length and width of each rectangular section of the shop. Multiply the length and width of each section together to find the number of square feet. Add the square feet of all the sections together to find the total square footage. Multiply the square footage by the desired lighting intensity in foot candles per square foot. Suppose your shop has a total square footage of 1,800 square feet and you want a lighting level of 30 lumens per square foot. The total lumens lighting required are equal to 1,800 square feet times 30 foot candles per square foot, or 54,000 lumens. Calculate how many lights you need. 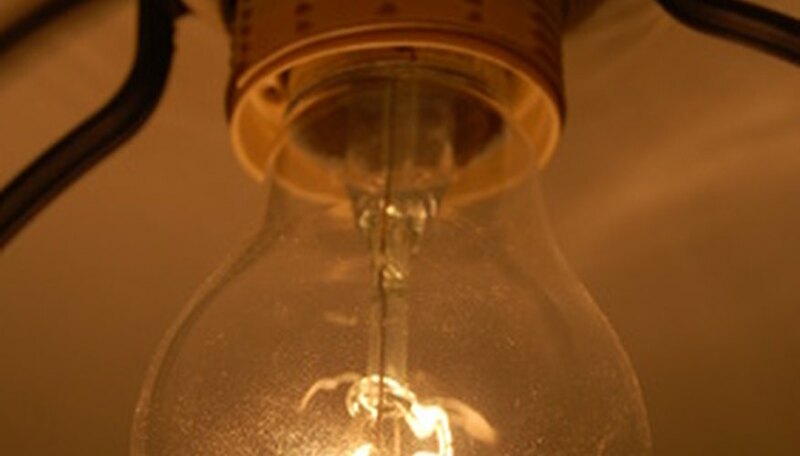 Incandescent bulbs and fluorescent lights have lumen ratings on their packaging. Divide the lumen rating into the total lumens you need. Suppose you choose fluorescent tubes rated at 2,500 lumens each for a shop requiring 54,000 lumens. This equates to 54,000 divided by 2,500, which is equal to 21.6. Round 21.6 up to the next whole number, and you need a total of 22 fluorescent tubes. Consider the use of spot lighting for your shop. In retail, spot lighting can draw attention to featured merchandise. In workshops, providing intense illumination only at workbenches can reduce lighting costs and make the rest of the area more comfortable. Adkins, William. "How Do I Calculate Lumens Lighting for a Shop?" Sciencing, https://sciencing.com/how-6897749-do-calculate-lumens-lighting-shop-.html. 09 January 2018.